We are a family owned and run business and have serviced the Metro Area since 1995. Our expertise is in all phases of concrete flatwork. 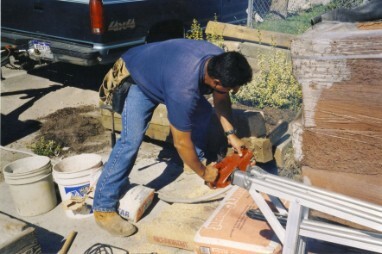 We specialize in the installation, removal, and repair of concrete. This includes, but is not limited to: Concrete flatwork, stamp colored and standard concrete. Patios, sidewalks, driveways, garage floors, porches and steps, colored and stamped concrete, we do it all at an affordable and reasonable price. Please contact us for a free estimate or more information.